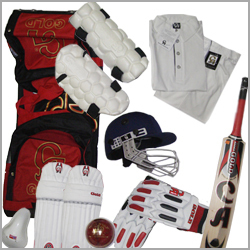 Desisport provides cricket kit wherein you will get all cricket related equipment at reasonable price. It is a bundle of all necessary equipments of cricket which every cricket player must possess. 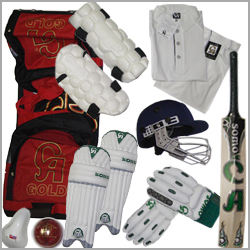 Cricket kit consists of - cricket shirt, Cricket pant, Cricket Helmet, Cricket ball, Cricket bat, Cricket sweater, Cricket hats and caps, Cricket guards, Cricket bags. In short, All your cricket equipment need is under one kit. And desisport offers this cricket kit with different equipments and therefore there are four categories under cricket kits. Choose your most suitable cricket kit and shine.